Costs – Are you looking to get a quote for tree removal, stump grinding or other tree services in Boise, Idaho? Check your quotes against these averages so you don’t pay too much. FAQs – Do you know the state tree of Idaho? This tree and many others thrive in Boise, but you should be aware of some regulations and diseases in the area as well. Learn more. Services – Need some professional advice? Find arborist information in this long list! How Much Do Tree Services Cost in Boise? While many Boise residents choose the DIY approach when landscaping their yards and gardens, it is best to hire professionals when tree services are needed. These larger jobs often require specialized equipment and expertise to ensure the trees or branches come down safely. It is important to ensure that trees do not cause damage to nearby structures, power lines or underground pipes. This guide provides a breakdown of average costs for various tree services in Boise. Tree removal in Boise generally costs between $350 and $490. Removal of trees on private property costs an average of $420. Dead trees are not only unsightly but may cause damage if branches fall so have them handled before they become too dangerous. Professionals can handle a variety of tree removal jobs but will charge extra for specific circumstances like trees overhanging power lines or your home. Removing a stump may cost $200 to $250 depending on how large the stump is and how deep its roots go. Stumps can also be minimized by using special equipment to grind them down to the ground. It costs between $77 and $140 to grind an average, mid-sized stump in Boise. This is generally preferred over stump removal because it costs less and creates useful mulch. Costs are based on the scope of your project. The average cost of tree trimming, pruning or branch cutting in Boise is around $580. Prices can range from $460 to $700 depending on the shape, type and size of your trees. Boise is a breathtaking city with a lot of beautiful nature. Trees are everywhere from parks to residential properties. The city has a strategic plan extending through 2050 to become the “City of Trees.” There are many services provided for those who want to remove old trees and make way for new ones. Boise has relatively few regulations regarding tree removal on private property. 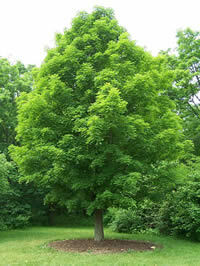 The city does not require permits except in the case of elm trees. There are no rules for disposing of hazardous or dying trees. It is the responsibility of property owners to ensure that trees are removed safely. 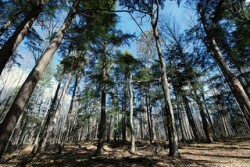 However, some trees are considered “public right of way” even if they are on private property. Trees located on Boise property owners’ front yards at a certain distance from public space may not be removed without a permit. Certain types of trees are also prohibited in right-of-way space including conifers, willows, red and silver maples, poplars, black locusts and several others. Planting trees underneath power lines is generally allowed unless they are likely to exceed 20 feet in height. It is the property owner’s responsibility to make sure that trees do not interfere with power lines. It is best to remove trees before the first frost, which typically happens between late October and mid-November. Many people in Boise remove trees in September and early October, while early spring tends to be the best time for tree maintenance in preparation for the growing season. Hazardous trees should be removed immediately. As the future “City of Trees,” Boise’s arboreal beauty is a major part of its charm. Boise is home to dozens of types of thriving trees. Idaho’s official state tree is the Western white pine. Also known as Pinus monticola, it can grow to 160 feet or more. The tree is found throughout the state and is unofficially known as the “Idaho pine.” With long needles in bunches of five and a straight growing pattern, this tree is regularly planted for decorative purposes. Pear trees are the most popular fruit trees in Boise due to their hardiness. Plum trees are also ideal for the warm summer months, and apple trees can withstand temperatures as low as 40 degrees below zero. The redwood is the tallest tree in Boise, followed by the Douglas fir, which can reach massive heights. The shortest trees in Boise are fruit trees and the flowering dogwood. Diseases that affect trees in Boise include aphids, tree borers, sun scald and various fungal pathogens. These may result in reduced yields or damaged leaves, bark and roots. It is recommended to have damaged trees looked at by an arborist professional or tree removal service representative to determine what can be done. 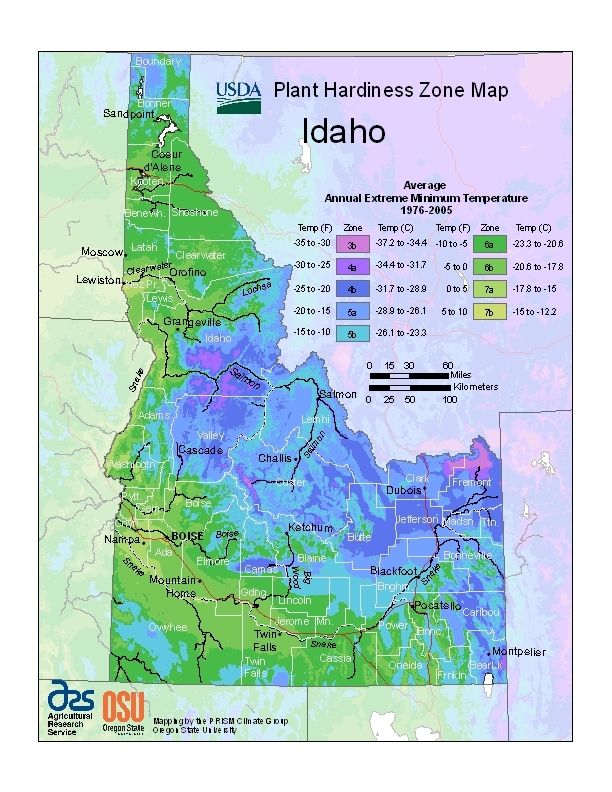 Trees that aren’t hardy enough to withstand cold winters are unlikely to thrive in Boise. This includes citrus and palm trees as well as certain fruit and flowering trees. As long as hardy trees are properly maintained, they will provide fruit or aesthetic beauty for many years.